Simple. Executives are afraid that by planning a strategy, there will be more work. Nothing could be further from the truth. A strategy (or set of strategies) will refine and define activities. If activities aren’t on the strategy, they should be avoided. It’s a classic case of an overused phrase: work smarter not harder. The Workbook is organized logically. It starts by helping the user understand the market, the firm itself and the directions being pursued. It asks the user to undergo common methodologies such as defining missions and visions. The user is then required to pull out actionable strategies, measurement techniques and list the parties responsible for fulfillment. Marketing 101 Video – Does Social Media Make You Money? The business world of today calls for expanding sales and profits in order to achieve ever-increasing earnings. Business owners and managers must look for any available opportunities to keep their market share and expand into new markets. What happens when their local market becomes saturated? The savvy leader is inclined to search abroad for any and all potential new markets for their product or service. New markets offer the possibility of increasing total revenue and/or decreasing the costs of goods sold, thereby increasing profits. Entering new markets may also allow a company to follow its existing customers abroad, attack competitors in their home markets, guarantee a continued supply of raw materials, acquire technology or ingenuity, diversify geographically, or satisfy the stockholders’ desire to expand. The day your family asks you to go to treatment is a hard day. In anger, through tears, or steeped in quiet resignation you agree to go, promising you’ll try. But you also secretly, privately, promise your addiction that this will just be a temporary set-back. That after treatment you can still have a little, that you don’t have to let your life unravel, that this doesn’t mean the end. It was a last-man-standing style shoot-off. We went in with five guys, each guy had five paintballs in his gun, and we tackled the biggest course. The stakes were high. One hit and you were out. It was more like an assassin’s game than the typical paintball free-for-all favored by most. Good clinicians know that good treatment followed by good continuing care has good outcomes. That seems like a no-brainer, doesn’t it? The Voyage blog is where we share our thoughts on anything and everything related to addiction rehabilitation and recovery for the whole family. If you have questions about anything you read here, or would like to learn more, email us at admissions@voyagerecovery.com or call us at 772-245-8345. When Do You Survey Your Employees On Ergonomics? I’ve been around networking since the early 1990’s. My first router was a Cisco AGS running IOS 8.2(3) and had interface cables (appliques?) that sliced the back of your hands when installing them. I would use mainframe telnet emulation software to get to the CLI prompt and type away using show and config commands. Fast forward 25 years… my hands have healed and telnet morphed to ssh but it’s still all the same process. This, despite the fact that “compute” (whatever happened to calling them “servers”?) was automated over a decade ago and switches effectively became servers with a bunch of ports. But compute automation tools — think Ansible, Puppet, and Salt — were not built for this type of work because networks are distributed systems intertwined in ways that servers will never be. And these tools were meant to handle provisioning..
At Apstra, we have declared war against the complexities and inefficiencies that plague data center network operations today, preventing organizations from delivering on their digital transformation goals. Infinicept, is a robust suite of automated services that collectively perform as an operational backbone for Payment Facilitators. Whether used as a fully integrated package, or a la carte, Infinicept makes it possible for Payment Facilitators to get up and running in weeks, not years. Frictionless underwriting is table stakes for today’s payment facilitators. Infinicept takes this concept a step forward by adding social media insight to the boarding process. Infinicept is a robust suite of automated services that collectively perform as an operational backbone for Payment Facilitators. Whether used as a fully integrated package, or a la carte, Infinicept makes it possible for Payment Facilitators to get up and running in weeks, not years. Started by payments industry veterans and Payment Facilitator consultants Todd Ablowitz and Deana Rich with the development expertise of technology innovator, iClassPro, Infinicept offers infinite acceptance possibilities for a market that is estimated to top $4.4 billion by 2021. Payments technology innovators NMI and Infinicept today announced a collaborative relationship that allows for Infinicept’s advanced underwriting and frictionless boarding modules to be integrated with NMI’s industry-leading facilitator enablement (FACe) platform. The combination creates a unique and powerful end-to-end boarding, underwriting and processing framework for payment facilitators using NMI’s FACe platform. The Sports ER and Urgent Care Center is dedicated to the health and wellness of our community. We promote exercise as medicine, and believe that movement leads to better overall health and is the key to enhancing one’s quality of life. We take great pride in caring for our patients, whether they have challenging chronic diseases in need of assistance or if they sustain an injury. Additionally, we are proud of our athletes and have created a program to keep them healthy and performing at a high level, and by providing care tailored to the physically active. As a board certified emergency physician, I have been in practice for over 10 years. I was an NCAA tennis player for all 4 years of college. I obtained my USPTA tennis teacher certification as well as my USSA snowboarding instructor degrees in the mountains of Colorado, where I taught snowboarding by day, and tennis in the evenings. I continue to compete in athletics and am currently enjoying tennis, yoga, pilates, resistance training, bicycling, running, and swimming. Apstra AOS® automates the entire lifecycle of network infrastructure and services. Apstra has an upcoming webinar that helps answer a lot of questions around how we are able to dramatically decrease time to market for new data center deployments. In my previous blog on Intent-Based Networking (IBN) I tried to provide some clarity about our vision of what IBN is, and what it is not. We stressed the importance of automating each and every phase of a service lifecycle by leveraging a single source of truth. Intent-based-networking (IBN) is the shiny new object in networking. Analysts and vendors alike are touting it as transformative to the data center and Cisco’s CEO said “Intent-Based Networking will redefine networking for the next 30 years”. Having established the key components of an intent-based networking system, let’s take a look at some examples of how this approach to networking bears fruit. For each of the services we’ll discuss here, there is generally an associated SLA that must be met. IT executives and enterprises require a comprehensive and flexible networking solution that automates planning, designing, processing, implementation, as well as deployments of products and services. With that in mind companies are in the process of implementing machine learning, neural networking, and other artificial intelligent devices to further the cause of Intent-based networking (IBN). Machine Learning is entangling the world in the web of smart, intelligent and automated algorithms. The next bug caught in the mesh is Networking. The paradigm of network management is all set to take a pretty big shift with machine learning sprinkled networks. Want to look young immediately? Find out if Anti-Aging Cosmetic Fillers are right for you! Here at BeautySmart Dermatology Clinic and Medical Spa in Boca Raton we take the logical approach to aging smarter and looking younger! At BeautySmart Dermatology Clinic and Medical Spa we have dedicated ourselves to providing services that make our patients feel great, look great so they can be great. Our professionals ensure that dermatologic and aesthetic treatments are offered to men and women by a Board Certified Dermatologist with 26 years in practice and licensed laser professionals who are committed to providing excellence in service. Our goal is to provide personalized care to each individual who comes into our door. In creating the Story Bookcase (2017), they brought a new twist to Sapien-style vertical book storage by allowing the user to position the shelves facing forward or to the side. By holding texts horizontally in a vertical stack, Story holds dozens of books in a very compact footprint. We hope people see it as a quiet, functional sculpture, says Hung-Ming. All-metal construction and a heavy weighted base provide strength and stability. 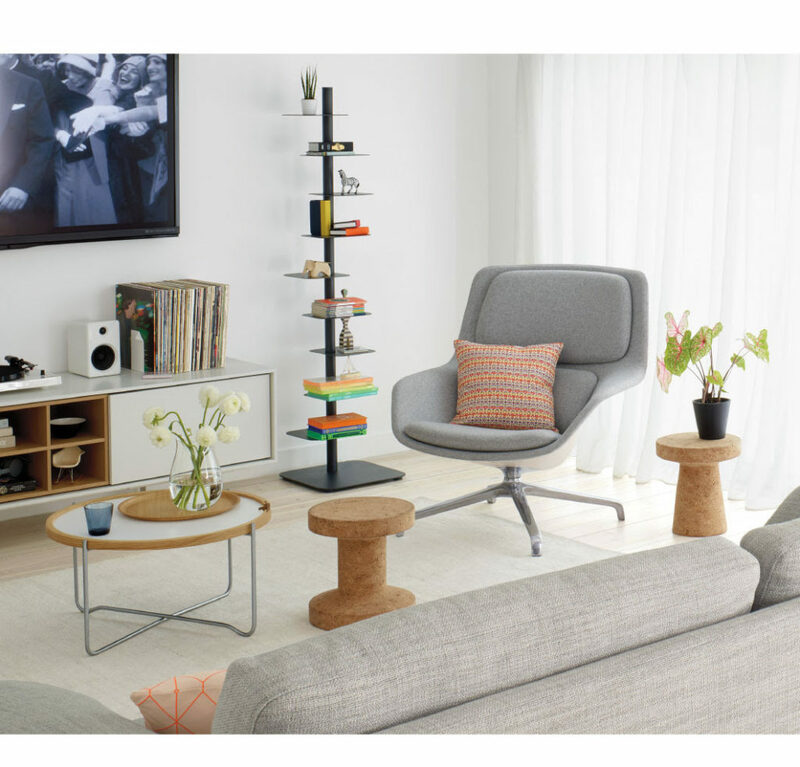 A graduate of ENSCI-Les Ateliers in Paris, designer Inga Semp started her own studio in 2000. She’s since partnered with several renowned firms, including Alessi, Hay, Luceplan and others. Semp was always impressed by the clever clamp lamps of her childhood, readily available in local hardware stores. 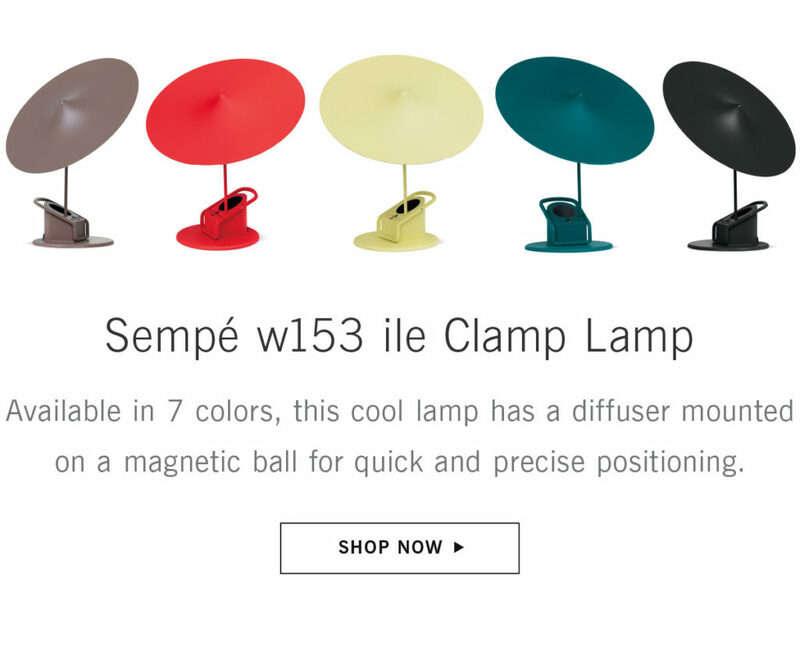 These very lamps inspired her Semp w153 ile Clamp Lamp (2015), which indeed proves that simple can also be sophisticated, consisting of a clamp base with a light source that shines upward into a diffuser mounted on a magnetic ball joint for quick and precise positioning. Payments processor Elavon has introduced a new program for payment facilitators that it’s calling Scoop. The program is a co-op that supports payment facilitators with two levels of service. Step 1: Remove case Remove the pillowcase and pillow protector. Step 2: Read label Read the care label for instructions. Pillows filled with buckwheat or gel cannot be washed. Step 3: Put in washer Put the pillow in a washing machine set to the gentle cycle. Use hot water and a mild detergent. Tip Hot water will remove dust mites. Step 4: Rinse Run the pillow through the washer’s rinse cycle several times to be sure to wash away any residual detergent. Step 5: Remove excess water Remove excess water from the pillow by pressing it with a towel. I am thrilled with the results and the first-time success was well worth the time, effort and money that my team spent. Olive leaf extract is very healthy and contains 30x more antioxidants than olive oil. It may help with lowering blood pressure, lowering high blood cholesterol, has anti-cancer properties (especially skin cancer), maintains blood-glucose levels, improves mental focus, protects brain from toxins, strengthens bones, reduced body weight and helps with digestion. Olive leaf extract is anti-inflammatory, anti-bacterial, anti-fungal, and anti-parasitic. There are over 16,000 scientific studies on it. Just ask Google. eWeek New Cisco Network Can Recognize Intent, Mitigate Threats Today’s topics include Cisco Systems’ launch of its groundbreaking networking system, Google’s new job search service, Lenovo’s unveiling of the world’s largest Intel-based supercomputer and a milestone in the number of mobile users worldwide. This is Part I of a Two-Part Series, where we discuss the components and attributes of intent-based networking, including the capabilities for visibility, monitoring, and programmability from the Infrastucture. In Part II, we’ll detail several use cases for intent-based networking. Data Center Point Welcome to our directory website Find what your looking for in IT, Data Centers and Networking. The Self-Operating Network There has been a lot of well justified press and discussion lately about the rapidly advancing concepts and delivery of self-driving cars. This week, somewhat prophetically, a delivery was made by the first self-driving truck – and it, of course, was a beer delivery. Click Here for more resources such as White Papers, Webinars and Videos. Square is citing a commitment to continued development and integration of artificial intelligence technologies as a fundamental reason behind its addition of a new member to its Board of Directors.